On some Xiaomi phone series such as Redmi pro, Max, Mi4i, redmi 2, etc with china or local ROM MUI 8. In some countries do not provide Google services Play. Because its app store provides Xiaomi themselves which is in the name of Mi Store. Most users have not been able to escape from the influence of this Google-made apps store. Because most applications or games must be connected with Google play game as the data storage level of the game. Therefore, Google services are indeed important to the user in pairs. 1. 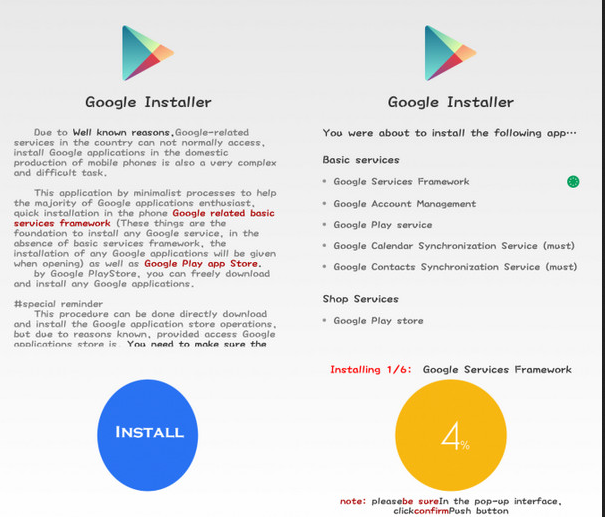 Download the Google Service Ask Installer via Link at the end of this article. 2. Turn on "Allow installation package from unknown sources" through Setting additional settings > > privacy > scroll to activate unknown source. 4. Select ok on the warning notification. 5. Install the apk Google services that are already in the download and then follow the instructions until the installation is successful.